“Monte Carlo Night of Champions” is presented by Africa’s promotional giant, Golden Gloves of South Africa. The Golvokin/Adama world title clash is presented in association with K2 Promotions and GGG Promotions. Detailed ticket information for the event at the beautiful Salle des Etoiles venue on the peninsula of Monte Carlo will be announced shortly. Monte Carlo is known as one of the premier cities in the world and one of the most beautiful tourist destinations. A leading candidate for 2013’s “Fighter of the Year”, Golovkin, 28-0-0 (25KO’s) has become a must-see international attraction with an unprecedented rise in his ratings in the United States and millions tuning in around the globe for his extraordinary performances. He had four sensational knockouts this year and his knockout ratio is the highest among all active titleholders. Adama is a native of the boxing rich country of Ghana and now lives and trains in Chicago, Illinois. The hard-hitting middleweight, 22-3-0 (16KO’s), has faced world-class opponents and has never been stopped. In March 2012, he travelled to Australia to challenge Daniel Geale for the IBF title, losing a very hard fought decision. Adama is rated #3 by the IBO and #14 by the WBA in the world ratings. “I’m very happy to return to Monte Carlo and excited to face Adama. I know he’s a very tough opponent and I’m looking forward to putting on another great performance for the fans in Monte Carlo and those watching around the world,” said Golovkin. “This is a fantastic opportunity for me to challenge boxing’s best,” said Adama. “I’ve already begun training and I will bring the titles with me back to Chicago on FEBRUARY 1.” Adama is promoted by CFC Promotions of Chicago. In his last fight on NOVEMBER 2, Golovkin fought at “The Mecca of Boxing”, Madison Square Garden, where he dominated hard punching challenger Curtis Stevens over eight rounds earning his 15th knockout in a row and 9th straight title defense. The fight was the third highest rated cable boxing telecast of 2013 and marked a 29% ratings jump from Golovkin’s overpowering third round stoppage of Matthew Macklin on JUNE 29. 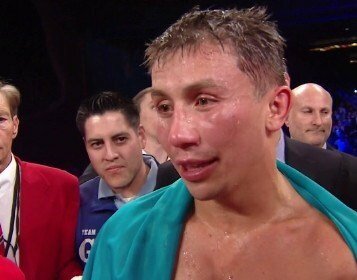 Golovkin has been on the fast track since signing with Tom Loeffler and K2. After making his debut on HBO in September of 2012, he has appeared four times on the largest television platform for the sport in the U.S. and has seen extraordinary audience growth worldwide. From his first appearance on HBO versus Grzegorz Proska in upstate New York to his most recent outing against Stevens, HBO viewership has increased by 106 percent. The triumph against Stevens was seen live by 1,410,000 HBO viewers, peaking at 1,566,000 viewers. In his last fight in Monte Carlo, Golovkin stopped former world champion Nobuhiro Ishida in the third round on MARCH 30 with a battering right hand, a knockout which is at the top of the “Knockout of the Year” polls by fans and media. This world class event is exclusively distributed internationally by leading boxing rights distributor and sports marketing firm, Octapixx LIVE, and the company is presently in conversation with top broadcasters worldwide to ensure that the “Monte Carlo Night of Champions” can be seen by sports fans everywhere. A country rich in sports history, Monaco is also home of the world famous Formula 1 Grand Prix motor race and many major international events such as the Monte-Carlo Rolex Masters.